We're ringing in the New Year with some educational training. I have several things in store this year. Come educate yourself on different areas of drug awareness. Join us at the New Bern Mall Police Substation on Thursday, January 24, 2019 @ 7 pm. This month we will hear about Peer Support Specialist Training. We have Laura Lefler to tell her testimony and about Peer Support Specialist Training for those whom want this type of help. Please come support her. We also have Gin Monroe from Trillium. Gin is a Peer Support Specialist Trainer. She will inform us with when and where of the trainings in this area. 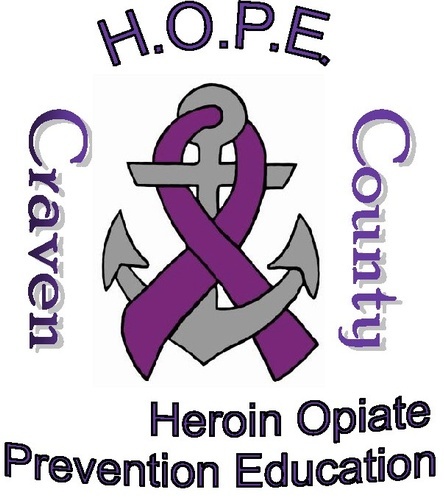 We welcome all Craven County community members and surrounding areas to this and all meetings. Please park behind the mall and go into the police station back door.